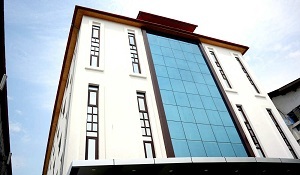 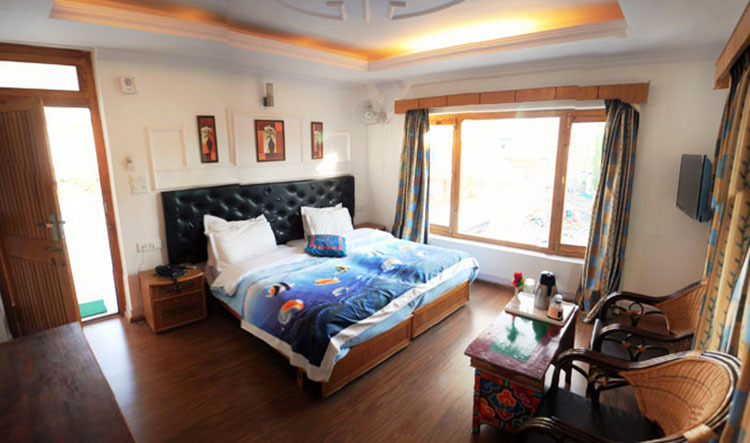 Location: hotel is situated in a quiet side-road of Fort Road, at a walking-distance of about 10 - 15 minutes to the central Main Market. 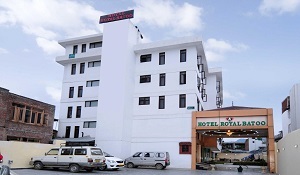 Our hotel is situated in a quiet side-road of Fort Road, at a walking-distance of about 10 - 15 minutes to the central Main Market. 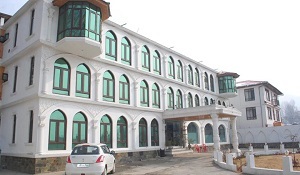 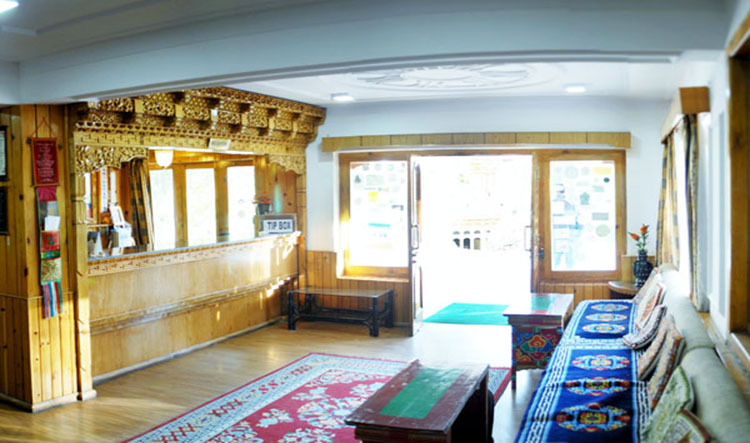 The traditional Ladakhi architecture of the newly built hotel (opened in 2004) is complimented by a terrace-lawn and marble-paved, wide terraces in front of the guest rooms. 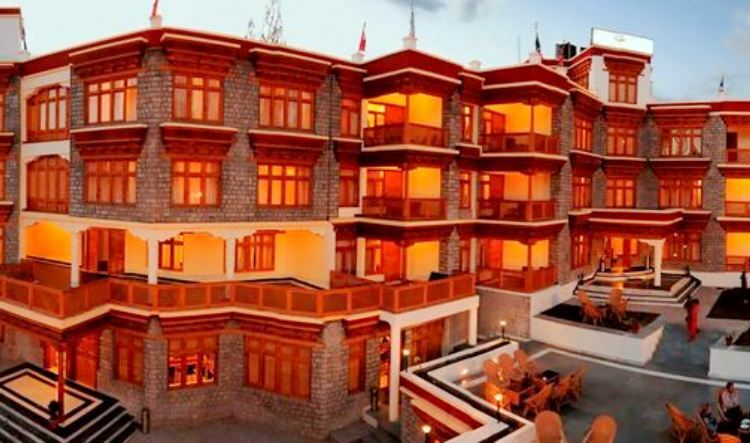 From there you can enjoy the marvellous view over the Indus-Valley to the bright glaciers and peaks of the Stok-Kangri Mountain-Group ( 6120 meters) after a hard Trekking or a sightseeing Tour to the famous Ladakhi Monasteries. 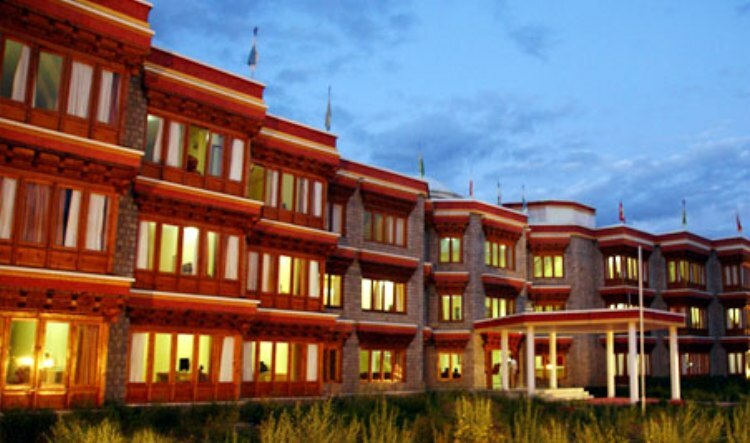 From the terrace on the roof you may discover the Shanti-Stupa and Leh Palace. 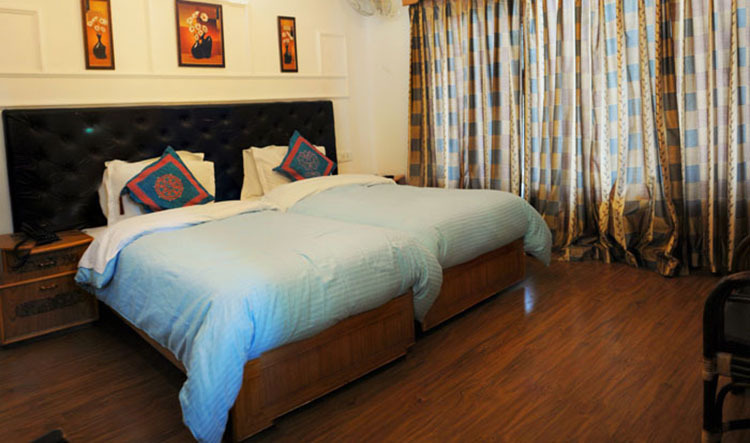 22 well furnished and very clean double-bed rooms. 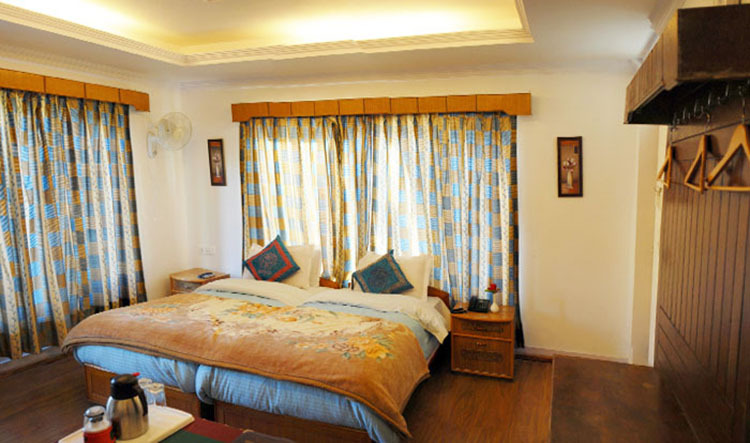 Attached bath-rooms with toilet and hot/cold shower. 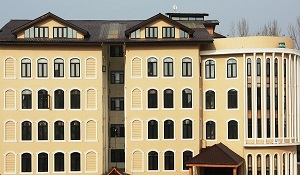 Internet connection (free of charge for our guests).